Iranian President Hassan Rouhani said today in an interview with NBC's Ann Curry that Iran would never develop nuclear weapons and that he has full authority to negotiate a nuclear deal with the West. 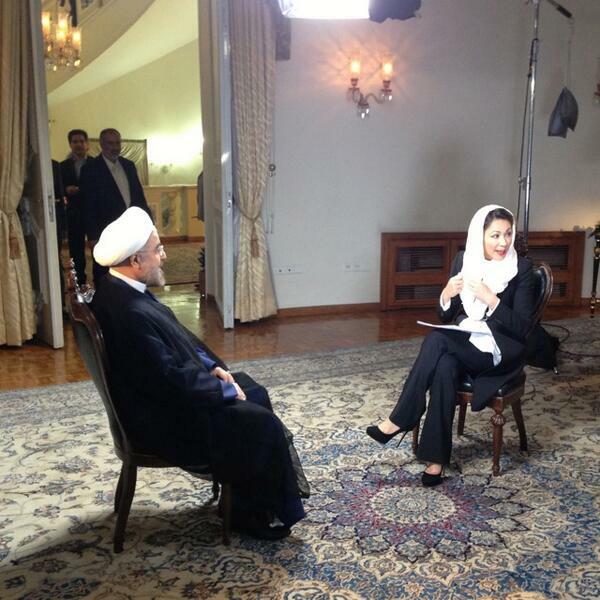 Rouhani, who took office in August, also said he had “full authority” in nuclear talks with the West. ‘I Have Full Authority to Negotiate a Nuclear Deal’ said Rouhani after receiving permission to speak with Curry. Big surprise here? For those of us paying attention all these years, no. by your language ,are you insinuating that the President is running away from the position of the establishment and that he has found some new 'full authority' forr himself to negotiate a nuclear deal? -your article is too much loaded!.